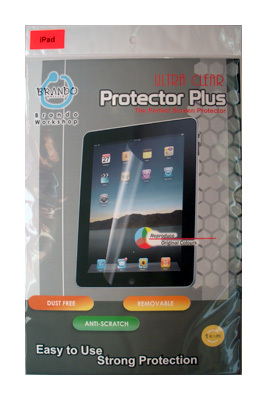 iPad Ultra Clear Screen Protector that is robust, incredibly clear and easy to use. This robust screen protector prevent scratches and provides strong protection for your iPad's screen whilst reproducing original colours. This screen protector is customised to fit your iPad Screen perfectly - no adjustments needed.